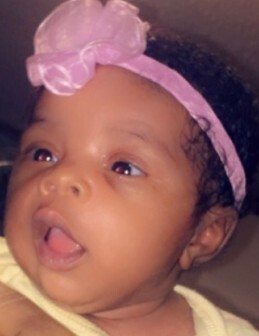 Miss Kha'yonni Rynaee Ward Woodridge, age 1 month old, departed her life on November 4, 2018. Please remember to keep her family, loved ones, and friends in your thoughts and prayers at this time.The service of remembrance will take place Saturday, November 17, 2018. The service will begin at 12Noon to be held at Piney Grove AME Church, 3813 Pleasant Valley Road, Raleigh, NC 27612. Reverend Deborah Brown serves as the pastor and will also be officiating. Interment will follow at Montlawn Memorial Park, Raleigh, NC. Viewing and visitation will take place one hour prior to the service. The final rites and professional arrangements have been entrusted to Matthews Family Mortuary.